It is a tradition at Meredith for the senior class to raise money to support a necessary project on campus as a way to give back to the place that has given so much to them. 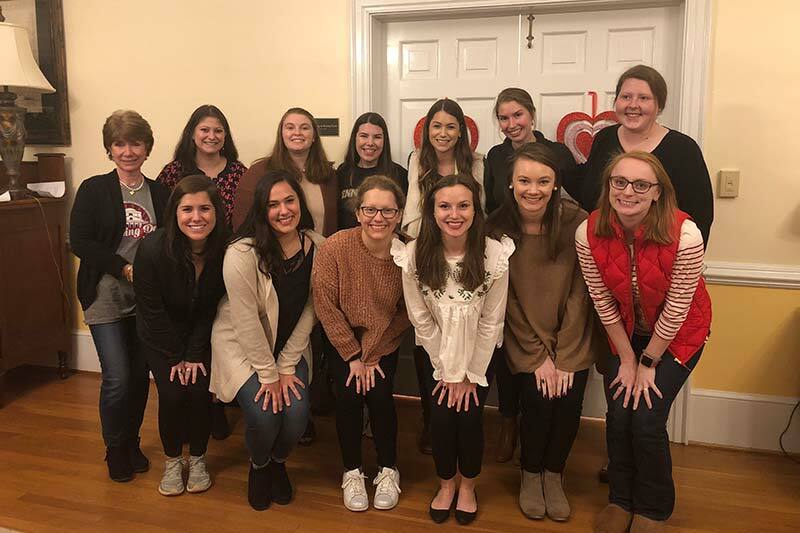 The Senior Class Gift project serves as the class’s chance to leave their mark on campus and begins their lifelong commitment to Meredith’s strong culture of philanthropy. This year, the senior class is partnering with their parents in their fundraising efforts to create an even larger impact on campus. The Class of 2018 voted to raise money for The Traditions Fund. The Traditions Fund is a newly established fund in collaboration with The Office of Student Leadership and Service that will provide financial support for students who are unable to afford the extra costs associated with participating in campus events. This fund will help a minimum of 50 students participate in twelve different traditions that they would otherwise miss out on such as Fire and Water Dinner, Charming Evening, Spring Formal, and Class Day, to name a few. The Senior Class Gift Campaign officially began on Thursday, February 8, at the Valentine’s Day themed kick-off event. The project was officially revealed to the class by the Class Gift tri-chairs, Amy Burke, ’18 Lauren Patton, ’18 and Meg Sink, ’18. Kathy Brown, parent of Katie Brown, ’18, offered remarks to the class on behalf of the senior parents. “Your generosity is a way to show your love and appreciation of Meredith and to leave a positive mark on campus before you graduate,” Brown said. If you would like to make a gift to support the Class of 2018’s Senior Class Gift, please visit meredith.edu/seniorclassgift. A gift of any amount can help a student experience all that Meredith has to offer. Senior parents who make a gift by April 24 will have their names listed as donors in the Class Day program. If you have questions, would like to learn more about major gifts, planned giving, or parent involvement opportunities, please contact Margo Alfieri, ’11, Parents Gift Officer, at alfierim@meredith.edu or (919) 760-8041.